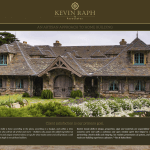 Website design in Monterey is my business and the personal relationships I have built in the 30 years that I have been a designer on the Monterey Peninsula are my strength. This personal approach has afforded me the highest level of client relationships and drives me to do my best work for each and every one of them. Life is too short to live inside the box. A good logo is the first step toward building a brand. A logo must be strong, eye catching, unique and target your market. The next step is to develop your brand, build a website with a website design that represents you, and create marketing materials. At Moore Design Graphics we design web sites and will host and maintain your site. 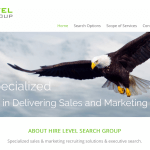 We create sites that not only look great but function smoothly on any device. Moore Design Graphics can finish your site where your last web developer left off or start from scratch. All of our sites are build in WordPress with a mobile friendly theme! Our hosting is extremely secure. 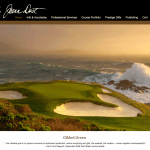 Website design Monterey and Pacific Grove small businesses are our focus. Book Design is a creative journey, which requires a certain kind of style. Discovering this style collaboratively with an author, publisher, or editor is something I truly enjoy. Very Important: My websites and website design conform to the newest (June/15) google standards for mobile display and are typically built in WordPress using tested, clean, error free code. I can provide specialized ancillary services such as converting to https (google ranks secure sites higher), SEO Optimization and social networking. 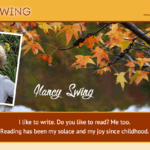 Freelance Graphic design was my first love and how I started my career. My business grew by referrals and I provide professional services to a community of loyal, high-end clients and collaborators that I have built over the years. Maybe its time for you to join that group? My focus as a freelance web designer is on building WordPress sites that are beautiful, but manageable for clients so that they can undertake day-to-day posting and contact activities without worry. I very much enjoy the creative page building process, and have a great success record of taking my clients ideas and turning them into a "virtual" reality. The look of your website is crucial. If you don't love it, odds are...neither does anyone else. Copyright © 2018 mooredesigngraphics.com. All Rights Reserved. Cover photo by Brett Crannell.